Laboratoire Matière et Systèmes Complexes - Séminaire MSC. 9 juillet 2018. Jordi Soriano (University of Barcelona) : "Connectivity and dynamics in neuronal cultures : from physical insights to medicine"
Accueil du site > Séminaires > Archives séminaires > Séminaires 2018 > Séminaire MSC. 9 juillet 2018. Jordi Soriano (University of Barcelona) : "Connectivity and dynamics in neuronal cultures : from physical insights to medicine". Neuronal cultures are one of the simplest yet powerful living systems to study collective phenomena in neuronal networks. 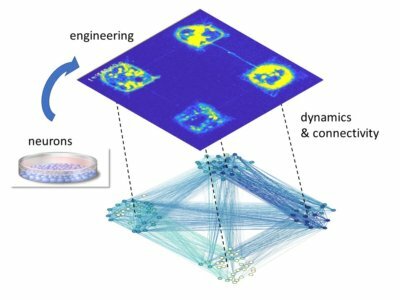 The ability of experimentalists to modify the connectivity among neurons and their dynamics offer a unique scenario to investigate key open questions in neuroscience, including the emergence of spontaneous activity patterns, the importance of spatial embedding, network connectivity, and the resilience of the networks to damage. In In this talk I will present different experiments and theoretic-numerical resources to shed light on these questions. In particular, I will pinpoint the potential of effective connectivity inference to characterize the behavior of neuronal networks affected by Sanfilippo, Alzheimer’s and other diseases.